The waffle-molded grid pattern collects rain, snow, dust and dirt to protect the floor from damage. A nibbed backing helps hold the mats in place. The mats are color-matched to vehicle interior. 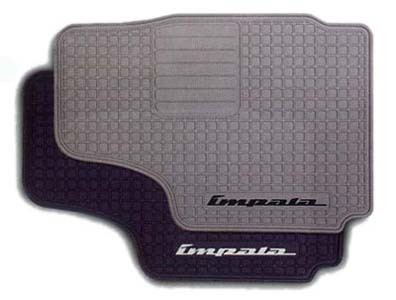 Front mats feature the Impala logo.